WM.T. SPAEDER has been a leader in comprehensive mechanical contracting for over one hundred years. Family-owned and operated since 1914, Spaeder enjoys a solid reputation as Erie’s most professional and progressive contractor. The Wm. T. Spaeder Company has evolved from a small plumbing firm to the largest and most respected mechanical contractor in northwestern Pennsylvania. For over 100 years, Spaeder has employed strong values, innovative methods and quality craftsmanship. Our quick responsiveness to all of your needs is “The Spaeder Way.” Additionally, Spaeder’s talented team of supervisors, project managers, and technicians are amongst the most experienced in the region. Whether you have a multi-million dollar project or you’re a homeowner who needs help, our high standards will ensure results that exceed your expectations. expertise that makes all the difference. 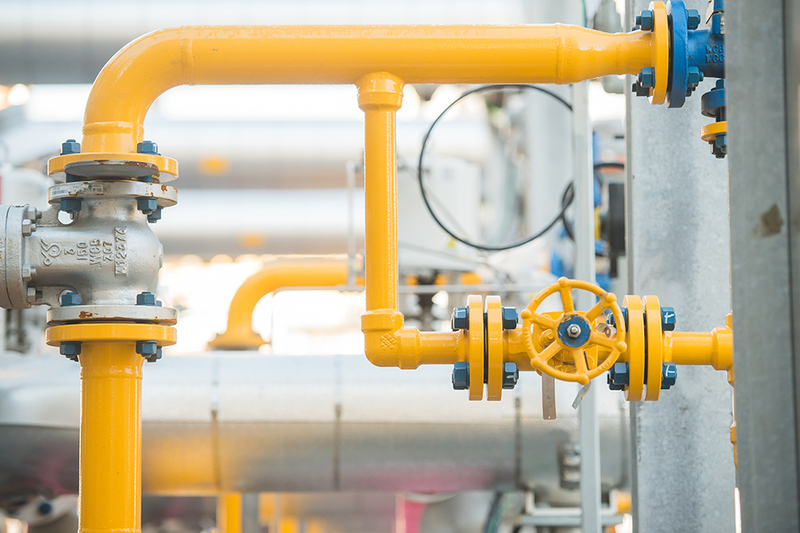 With decades of experience in process piping and industrial work, we have some of the industry’s most skilled, responsive and experienced piping experts on our team. Since the company was founded, the Wm. T. Spaeder Company has strategically focused on the needs of the region’s industrial communities. Spaeder takes great pride in providing innovative solutions, exceptional project management and complete customer satisfaction. Our work encompasses maintenance, emergency repairs, large shutdowns, renovations and new capital projects. The Wm. T. Spaeder Company has decades of experience with water and wastewater treatment. We are the only piping contractor in the Erie area, and one of a few in northwestern Pennsylvania, capable of building water/wastewater systems of all sizes. Spaeder’s depth of experience, coupled with a skilled workforce and extensive fleet of heavy lifting equipment, means your job will be completed efficiently and to the highest standards. Not only do we fabricate our own waste water piping, but we also can handle multiple size installations. The Wm. T. Spaeder Company specialized commercial construction division has the expertise your company requires to get the job done safely and professionally. 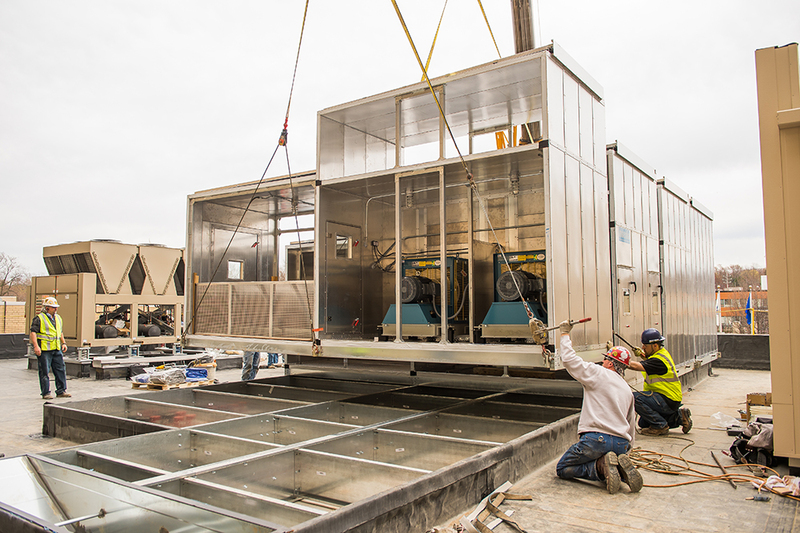 We assist facilities of all sizes with plumbing construction, HVAC construction, BIM, site utilities and LEED construction. Providing shop fabrication allows us to work under ideal environmental conditions resulting in higher quality and production. 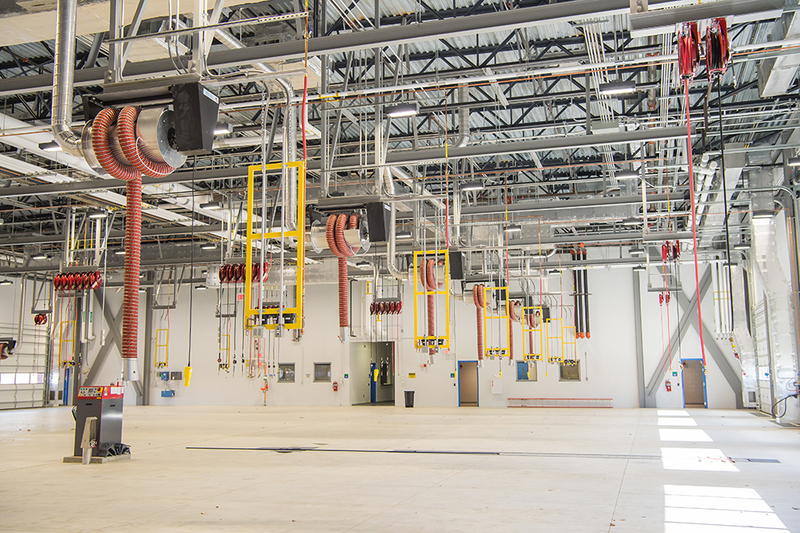 Because of the reduction in on-site hours, less manpower, tooling, and equipment is required on-site resulting in a less congested project and improved site productivity for all trades. Fire protection has been one of the Wm. T. Spaeder Company’s core competencies since the company was founded more than 100 years ago. Our fire protection experts have the knowledge and skill to ensure each job is done quickly and efficiently, and that systems are installed correctly. All wet, dry, and chemical suppression systems are tested thoroughly to ensure it is working correctly and meets fire protection code. Spaeder provides maintenance and inspection services as well as 24-hour emergency services for all of our clients. The Wm. T. Spaeder Company offers design assist focused on constructability to engineers and architects. We provide cost estimating, scan services to determine existing conditions as well as retrofit and re-engineering services. Spaeder supports both 3D and 4D coordination and regularly hosts all trades with on-site, web-based, and in-office coordination services. From design to installation you have the information needed for project decisions. Our coordinators, foremen, and installers work together to bring proven fabrication and installation experience to every project. Wm. T. Spaeder ensures your home stays comfortable during the most extreme temperatures and orderly even in the midst of a plumbing emergency. 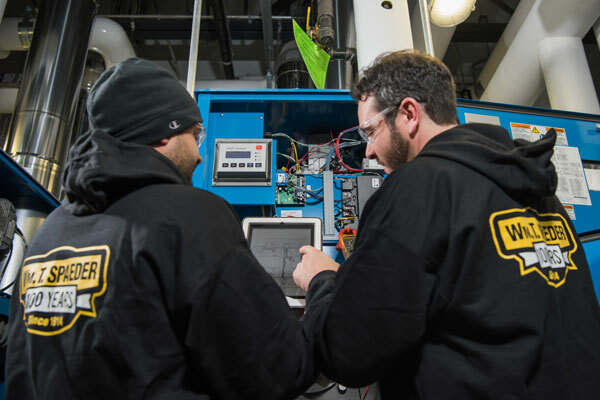 Whether your in need of complete HVAC system installation such as air conditioning and furnace installations and repairs or emergency plumbing services in Erie, Pittsburgh, and the tristate area, Wm. T. Spaeder is around 24/7. No matter the problem, we’ll work expeditiously to assess the situation and begin repairs to prevent further damage. Wm. 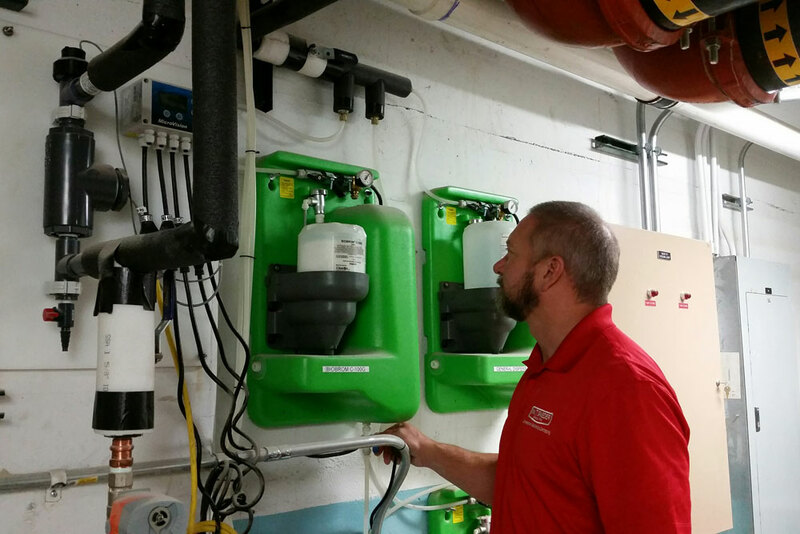 T. Spaeder’s water treatment services span the industrial and commercial markets. 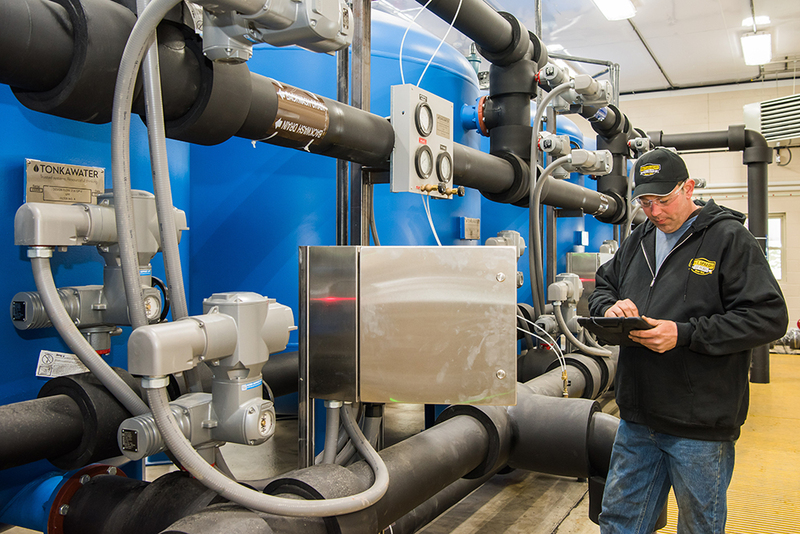 With decades of industry knowledge, our comprehensive suite of water treatment services include sales and installation, equipment inspections, corrosion monitoring, in-plant testing, and much more. At Spaeder, our water treatment division specializes in providing industrial water and irrigation filters that adhere to ASME Boiler and Pressure Vessel Codes. The professionals at the Wm. T. Spaeder Company know your business depends on its plumbing and HVAC systems operating efficiently. When maintenance and repairs are needed, Spaeder’s team makes it a top priority to get to your location quickly and begin making any necessary repairs immediately. The Wm. T. Spaeder Company can service your equipment as soon as you need, 24 hours a day, seven days a week. 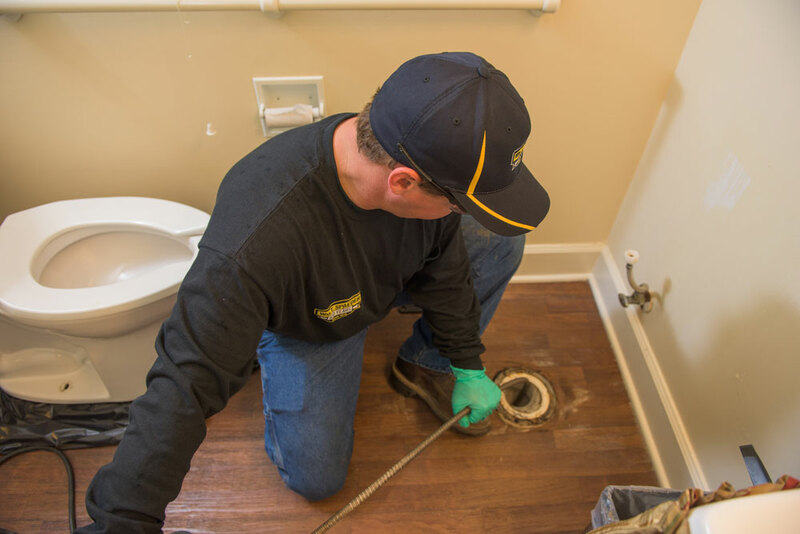 With one of the fastest response times in the industry, we’ll send the right team members to get the job done quickly and efficiently. WM. T. Spaeder Company is built on genuine entrepreneurship, quality craftsmanship, and a deep-rooted commitment to the community. At the root of every great project is a team that works effectively together. 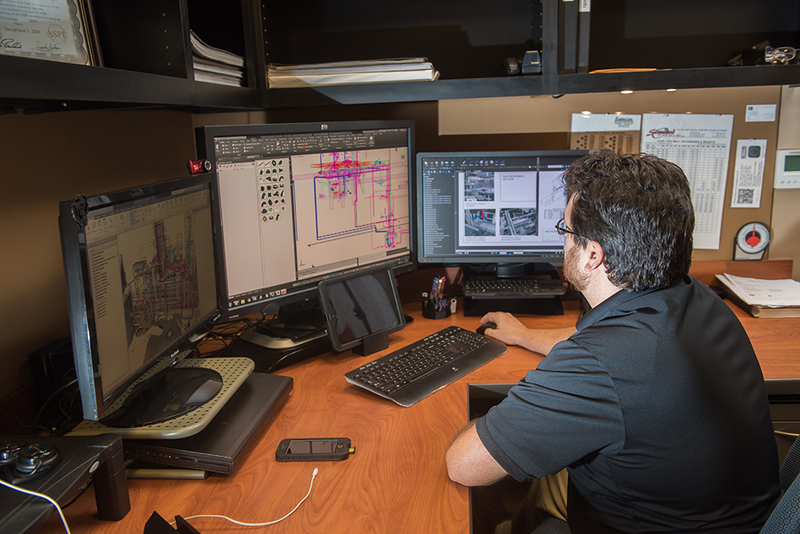 From the technology we’ve implemented to the design of our facility, every element of our business is designed to improve communication, collaboration, and logistics. I’ve been involved in several projects over the past few years at the Welch’s in North East, PA, and on each I’ve had the privilege of working with one of your employees, Mark Renshaw. I wanted to be sure that you all were aware of what an outstanding job that he’s done and what a tremendous asset he’s been every time we’ve collaborated. He’s always helpful, knows the plant extremely well, manages his team well, thinks ahead, and goes above and beyond the call of duty. Our most recent project at the plant last year, the Line 6 Rework Tank system design and installation, was a success with a lot of credit due to Mark. I can honestly say that I look forward to our next opportunity to work together.